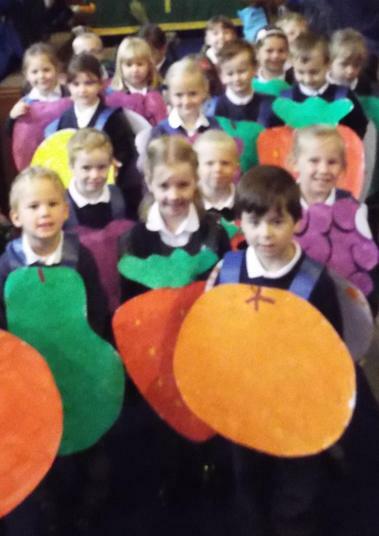 It was great to see a packed church for our annual Harvest festival service, and lovely to have every child in school contributing to our harvest celebration. 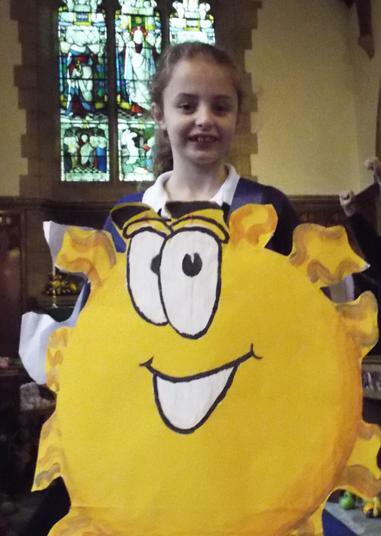 This year, our theme was 'Sharing' and we thought about the need to share in a world where we all share one sun, yet our harvests are so unequal. We learned about the wide range of products that are available as Fairtrade - in which we can be sure a fair share of profits goes to the producers. 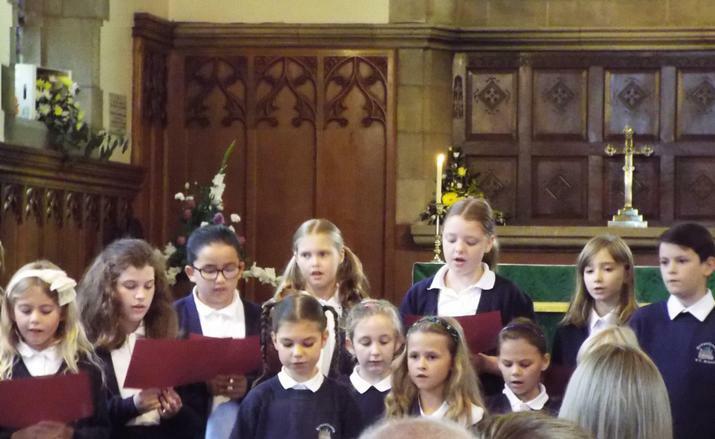 Along with whole-school songs, poems, drama and artwork, the school choir gave a very moving performance of John Rutter's 'Look at the World', as we moved into reflection on the good things that we have and the farmers and producers who supply our food. 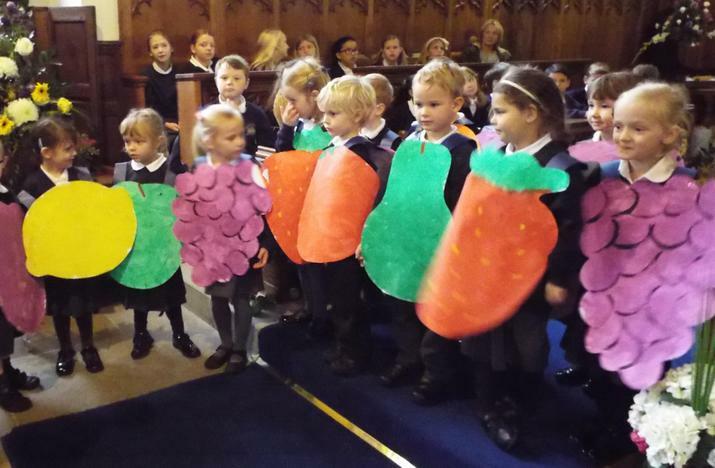 The service finished with a rousing song 'Harvest Samba', with our Reception children dancing down the aisle in their fruit costumes, and the congregation joining in with percussion instruments. A wonderful celebration to end the service!